The US HUMVEE T-shirt is a single sided print in grey. 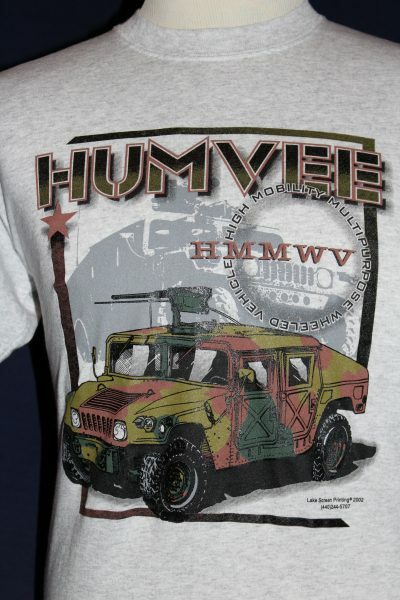 Front Design: Camouflaged HUMVEE with text superimposed over a greyed out HUMVEE. 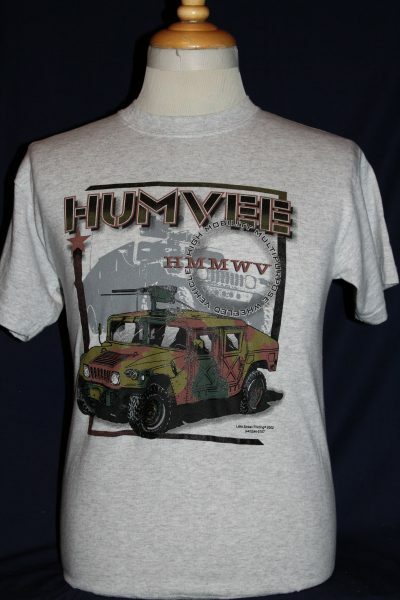 The letters HMMWV are an abbreviation for High Mobility Multipurpose Wheeled Vehicle.